Being totally in awe of the cover, I was intrigued by that at first; which is a really terrible trait of mine that I am a very picky person of covers and the overall presentation of the book (and I am so obsessed with fonts, which is really bizarre..). Then, I read a little into what Sia was about and saw it in a different sort of light. There seemed to be a deeper meaning and a real coming of age story beneath the words, so I was delighted when I got a copy from NetGalley! Seventeen year old Sia wakes up one morning on a park bench and has literally no idea who she is or where she is. She quickly figures out her name from her iPod, but spends quite a little time going over the motions; what happened to me, why can't I remember who I am? First, she ends up living on the streets, homeless. She gets help from another homeless woman; Carol, who guides her for a while until she is found by her family. Turns out; Sia is the rich daughter of an Ex-Model and Hollywood Producer...far from the life of homeless and a long way off from keeping her baggage behind her. Now her old life is thrown back into the spotlight of her mind and she has to face everything she tried had forgotten, because now; she's been diagnosed with fugue amnesia, which literally meant; the girl she used to be; Mean, Horrible and seriously Stuck up, was gone, and a lovely, baggage-free girl was left in her place, with no memory at first of just how much hurt she had caused at her High School. And she doesn't want to go back to that way. Going back to that old life being head of the cheerleaders with a handsome boyfriend and all the money a girl could want really makes Sia feel out of place and just a passerby of her old life, especially when she's told by Kyle just what old Sia was like. With Sia now being a completely new and different person, she decides to turn this life around, something she must correct. She knows that it won't be easy and that it's going to be tough to prove just how selflessly sympathetic she is now, and how much she just wants to be different to her old self. I think this story was very observant of the rules of Karma; what goes around, comes around. But Sia was given a second chance almost, by her memories being wiped. I loved how the author gave an intriguing and hypnotizing premise to the novel, and how unique he played out the characters (who were all very well-made and structured and believable) and the twist on Mean Girl goes Nice and get's a hint of romance to her life that she prays she won't lose if her memory returns. 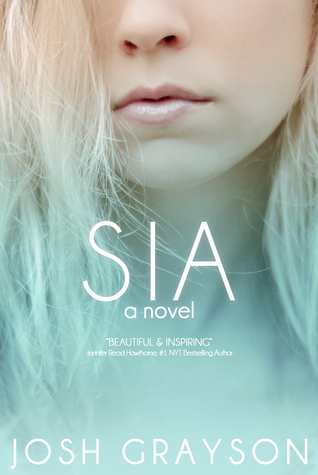 This was a total breath of fresh air, and I adored the story of Sia. This book was inspiring and motivational, like a story within a story, about how we should all look at our lives and think about how we can change for the better. A total five star read, with a spark that lights up the words on the pages. 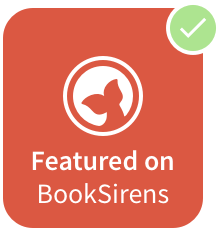 A unique and inspiring Young Adult novel, with energy and amazement of an original plot and fascinating life of a girl who turns her life around for the better, in an uplifting, five star read with a touch of romance.